I do not think in terms of a good rein or a bad rein when riding. To me the usual scenario, when a person tells me their horse has a good rein and a bad rein, is that the horse falls onto a specific shoulder all the time. Let us further proceed to define what 'bad rein' usually means to people. 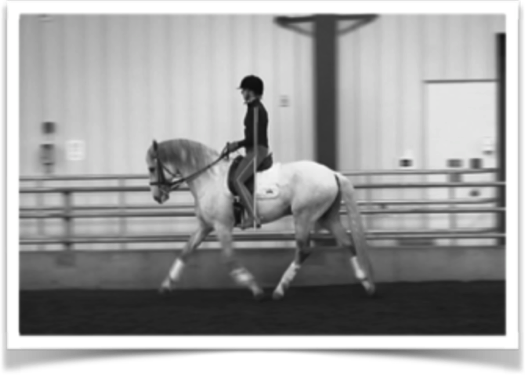 Riders tend to say 'bad rein' on the rein which the horse doesn't bend, or is perhaps more difficult to bend. 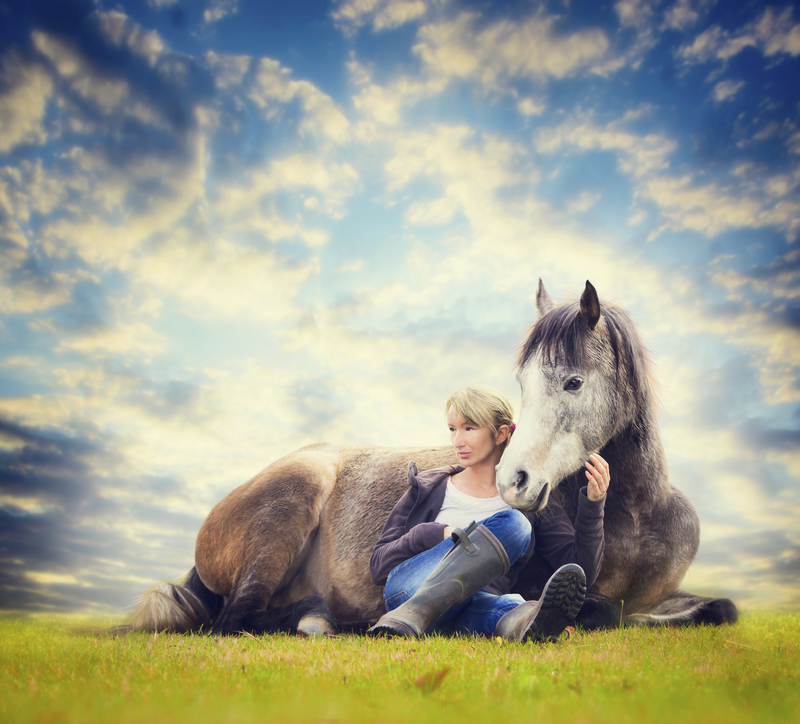 As mentioned, the usual problem is that the horse leans on one shoulder permanently. Let us imagine the bad rein is the right rein. This means the horse leans too much on his right shoulder. 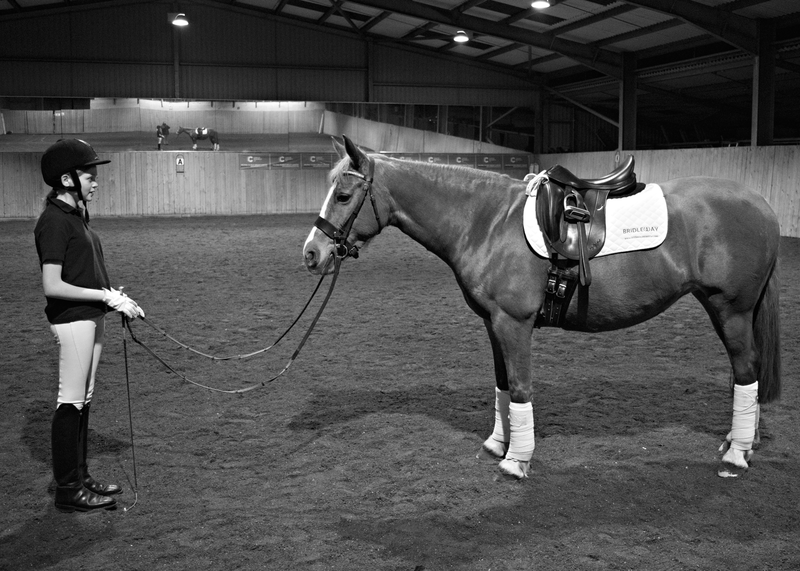 When the rider changes onto the left rein, the 'good rein', they think all is well because they can bend the neck. 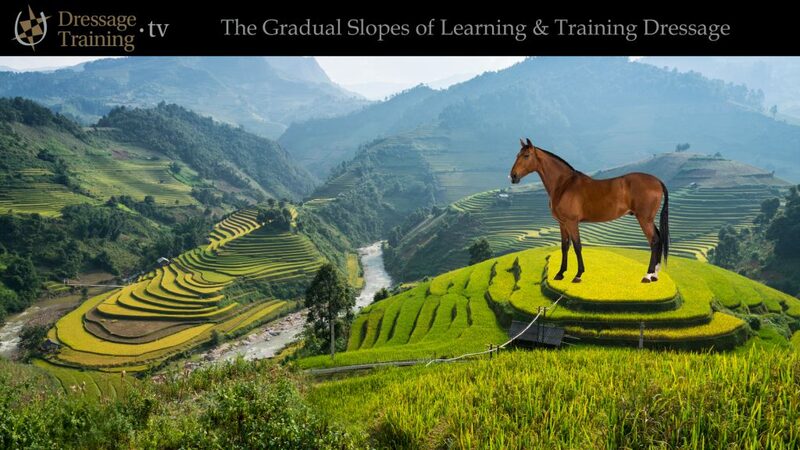 However the horse is still leaning on its right shoulder, and the rider is unwittingly training that pattern... keeping the bad rein 'the bad rein' :) Often the rider believes they have a bend but in fact the horse is jack-knifing through the outside shoulder. Look at the photo above and you can see a version of jack-knifing. 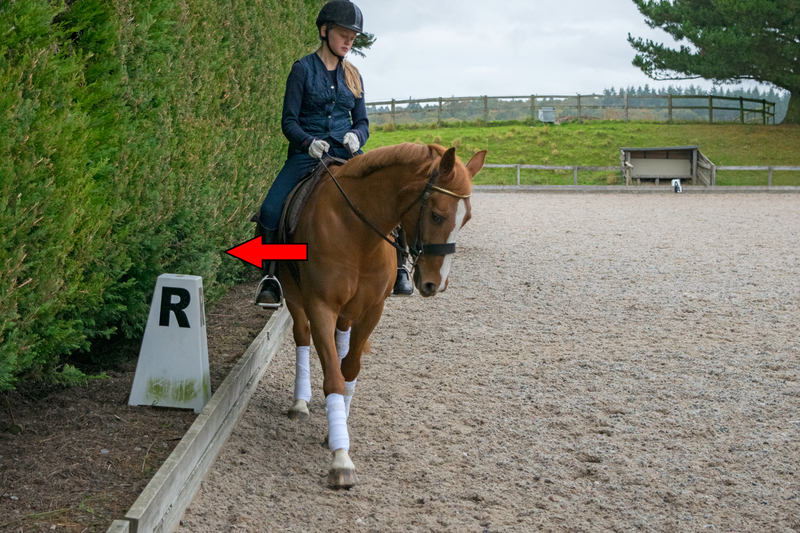 If the rider above kept up this pattern of having too much weight onto the right shoulder – they would be training this pattern into the horse and dooming themselves to always having a good rein and a bad rein. In fact they would continue to make it worse. 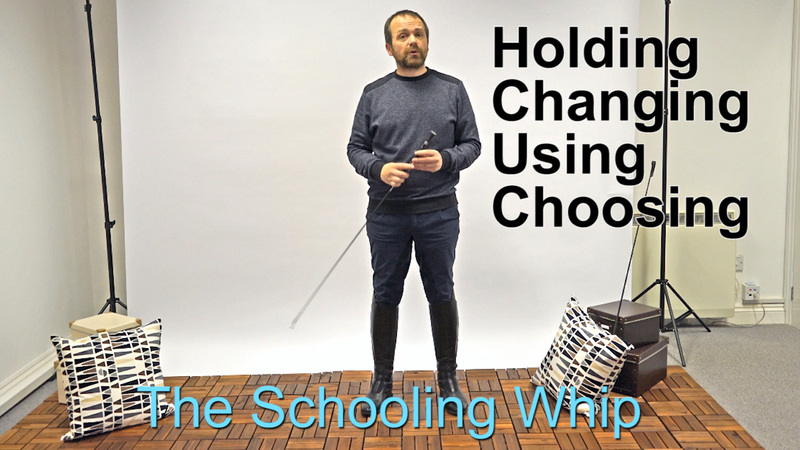 I hope this makes sense to you, and when I ride a horse with this pattern I feel that both reins are 'bad' and I generally need to teach the horse to keep both shoulders evenly weighted. During our course; The 'How' of Riding, we break down riding into bite size chunks. One of the lessons is the turning aids and how we solve some of these problems.